The Amalfi coast, south of Naples, proved to be a remarkable vacation spot. We just returned from a week visit there. 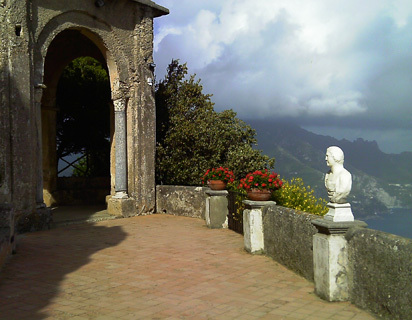 A surprise for me, besides the winding roads up and down the mountains, which I am grateful I never drove, had to be an English garden we found in the town of Ravello. The site for the garden is the famous Villa Cimbrone. This is the topmost area at the Villa Cimbrone called the Terrace of Infinity. Though the Villa dates to the eleventh century, an Englishman Ernest William Beckett, Lord Grimthorpe, purchased the property in 1904 after his grand tour, a trip through Europe that the sons of rich Englishmen of that time took to see the world and so finish their education. His contribution included the design of a park-like garden that covers what seemed to me acres. You begin with a long alley of trees called the Avenue of Immensity and end at an arch enclosing the Statue of Ceres. After walking under the arch you stand atop the mountain at a spot called the Terrace of Infinity, in amazement at the Mediterrean Sea stretching far below you. The view goes on forever. 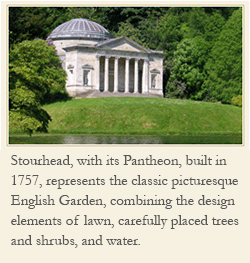 In the garden you also find a collection of roses, one variety named after Lord Grimthorpe’s daughter, and along the pathway statues of Mercury, David, and Bacchus,all of which just add to the richness of the garden experience. 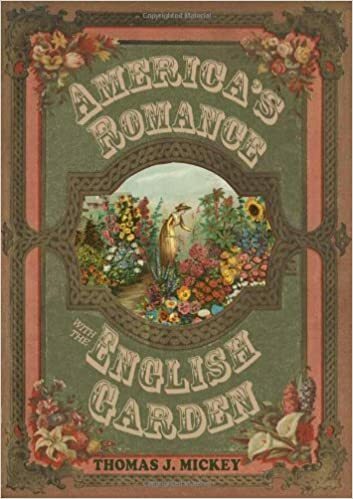 The English component has to include the lawn, the rows of trees, and the flowering shrubs, but also the surprise at the end of the Avenue of Immensity. You never expect to see that view, but you do, and stand in amazement before it. Today Villa Cimbrone serves as a hotel which I am happy to report opens the grounds to the public. I expected to see Italy, but never knew I’d also find an English garden, one of the most beautiful I’ve ever seen, in a setting like no other.